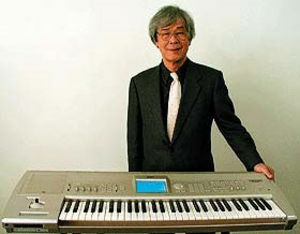 A letter via Seiki Kato, President of KORG Inc.
Plans for a memorial service will follow very soon. 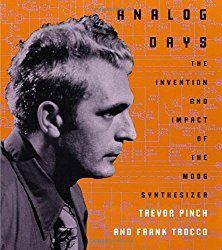 Another hero lost; one of the first to define the world of synthesis as we know it. The gifts he gave us will always be remembered and will inspire new synth enthusiasts and musicians for decades to come. Tsutomu Katoh-san, you will be missed. Thank you for everything you gave us. Via Wikipedia: "Founded in 1962 in Japan by Tsutomu Kato and Tadashi Osanai, Korg was originally known as Keio Gijutsu Kenkyujo Ltd." and later "Keio Electronic Laboratories (京王技術研究所?) because its fledgling offices were located near the Keio train line in Tokyo and Keio can be formed by combining the first letters of Kato and Osanai. Before founding the company, Kato ran a nightclub. Osanai, a Tokyo University graduate and noted accordionist, regularly performed at Kato's club accompanied by a Wurlitzer Sideman rhythm machine. Unsatisfied with the rhythm machine, Osanai convinced Kato to finance his efforts to build a better one..." And indeed they did. This sad news in via Amos of Moog Music and Michelle Moog-Koussa of the Bob Moog Foundation. 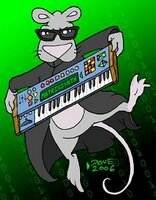 Update: some condolences and pics on the KORG Forum here. "Rare, Japanese-language video from some time in the 1990's, taking the viewer on an odyssey through Korg's many instruments, from Korg's synthesizer museum at its Tokyo headquarters. 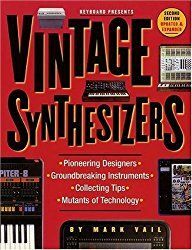 Two other videos were produced in this series, 'The Vintage Synth - Volume 1: Moog and 'The Vintage Synth - Volume 2: Roland'"
Part 1: "This clip features an interview with Korg's co-founder Tsutomu Kato and footage of the rare DA-20 Doncamatic drum machine (1963) and an early appearance of Korg's famous 'Traveler' filter control - on an organ! (late 1960's.) More to follow." Part 2: "This clip features the Korgue organ from 1968, as well as Korg's first synthesizer, the Mini Korg 700 from 1973 (here shown in its expanded 2 oscillator version, 1974's Mini Korg 700S.)" Part 3: "This clip features the Synthesizer 800DV (1974), Synthesizer 770 (1975), and the PE-1000 (1976)." Part 4: "This clip features the polyphonic, patchable, part-modular and extremely rare PS-3300 (1978)." Part 5: "This clip features part one of the MS series (1978-79), focussing on the wall-mounted 'education' MS-20 as well as some other early analogue products." 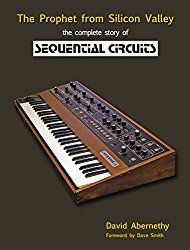 Part 6: "This clip features the MS-20 and MS-50 synthesizers, VC-10 vocoder and SQ-10 analog sequencer (1978-79) in more detail." 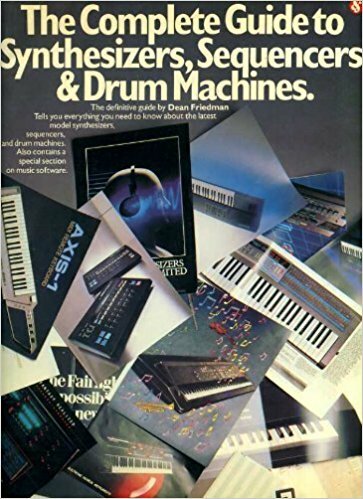 Part 7: "This clip features the Delta strings synthesizer, Trident polyphonic synthesizer, and BX-3 analogue organ (1980-81)." 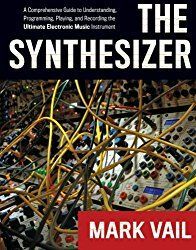 Part 8: "This clip features the first part of an in-depth look at the Polysix synthesizer from 1981." 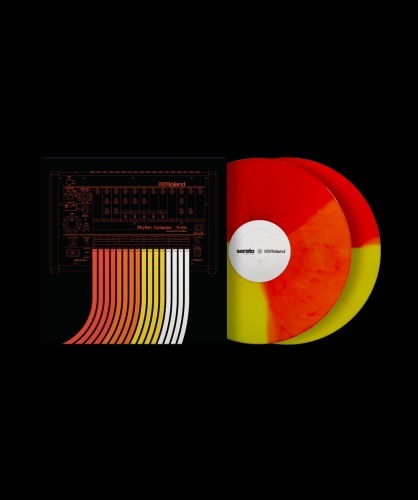 Part 9: "This clip features the second part of the Polysix synthesizer feature and the one on the Mono/Poly." Part 10: "This clip features the Poly-800II and the DW-8000 (1985)"
Part 11: "Computer-control of MS instruments (or is it the 05R module?) with 700S, original Korg Wavedrum, as well series conclusion." Thank you Mr. Tsutomu Katoh for bringing us KORG, and may you rest in peace. Thank you Tsutomu Katoh-san, for making things for me to create music with. To whatever is next for you, Godspeed. Rest in peace, sir. Your legacy will live on and on. Very sorry to hear this. Thank you for your work & the joy we have with KORG. Have a good journey.